Are you thinking of heading to magical Southeast Asia? Thinking of Thailand? Or maybe overwhelmed by the options? This is the perfect itinerary to exploring all of the beauty that Thailand has to offer. Once you visit, you'll be hooked and go back over and over again! Bangkok is typically the first stop for travelers coming from the US. The Thai capital is endlessly fascinating with so many sightseeing options from temples and historic buildings, like the Grand Palace, to the canals and river. Stay at the chic Siam for gorgeous river front luxury and serenity in bustling Bangkok! Photo courtesy of The Siam Hotel. Chiang Mai is blessed with a natural beauty and a strong cultural identity. Chiang Mai is the perfect home base to explore all that Northern Thailand has to offer and I highly recommend visiting one of the top-notch elephant sanctuaries in the area. 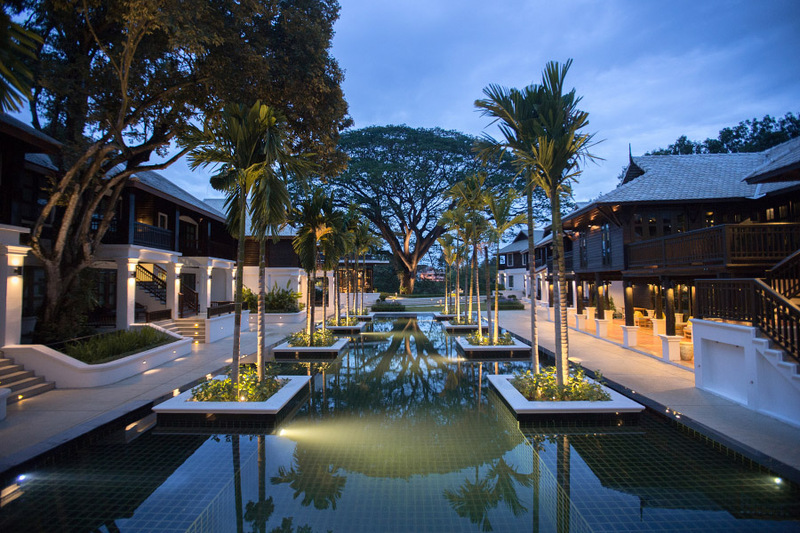 Stay at the beautiful Na Nirand Boutique hotel for a heavy dose of romance and beauty hidden in the heart of Chiang Mai. Photo of Na Nirand Romantic Boutique Resort. Head a little more off the beaten path to Chiang Rai in Northern Thailand where Laos, Burma and Thailand converge. This crossroads is the perfect place for a luxury glamping experience, stay at the Four Seasons Tented Camp. No roughing it here! This tented camp has two amazing restaurants, a wine cellar and an amazing spa that focuses on local techniques and rituals. Photo courtesy of Four Seasons Tented Camp. 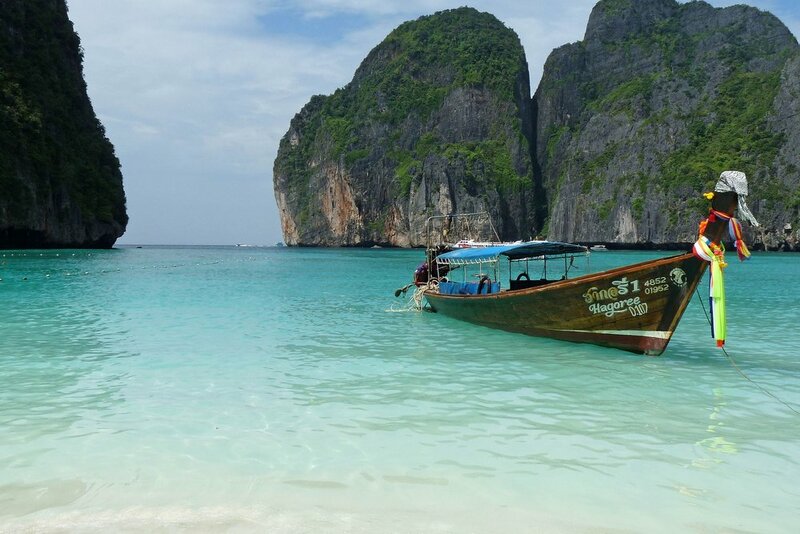 Phuket needs no introduction and offers the serene beach beauty most people picture when they think of Thailand. Phuket offers easy access to the Instagram-worthy Phi Phi Islands and Phang Nga Bay made famous by James Bond. 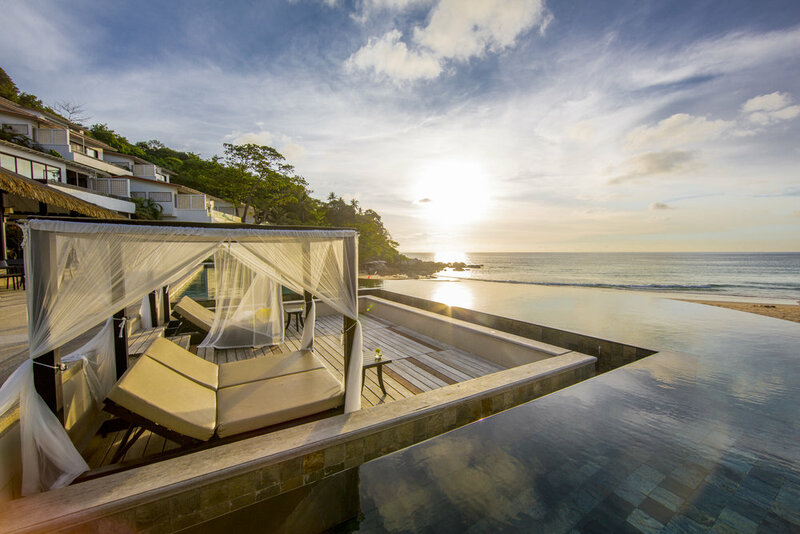 Stay the unparalleled Shore at Katathani for gorgeous villas and views. Photo courtesy of the Shore at Katathani. Ready to being planning your next amazing adventure, contact me here. Want travel planning advice delivered to your inbox every week? Sign up below!